Murder and mayhem collide again in Beverly Hills. People's lives change forever following the explosion at the Powell mansion. Rosie is entangled in the aftermath of the latest murder, and a discovery about Genevieve shocks Marisol , while a discovery about her new neighbor makes Zoila uneasy. Genevieve continues her war against Marisol, while Carmen tries to be friends with Daniela, Adrian cuts off Evelyn's funding, and Rosie and Jesse deal with a new visitor. Marisol deals with a new roommate, while an unexpected visitor impacts Daniela and Carmen's relationship. Zoila goes on a blind date, and Genevieve makes a new friend. Rosie takes risks proving Spence's innocence, Peter invites Marisol to an important gala, Zoila tries to make Kyle jealous, and Genevieve and Fabian's relationship takes an unexpected turn. 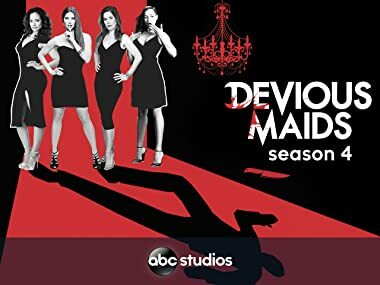 Genevieve helps Rosie investigate Peri's murder; Marisol clashes with the new director of her movie; Carmen pretends to be Danni at an audition; Kyle chooses between Zoila and his mother. Rosie uncovers one of Peri's secrets, while Marisol and Peter's relationship falters. Genevieve schemes to get Zoila's attention, and Carmen finds herself in a new relationship. Carmen gets caught in the middle; Genevieve meddles in Marisol's life; a confession leads Rosie closer to finding Peri's killer; Zoila and Kyle receive unpleasant surprises. Marisol learns a secret about Genevieve's past; Zoila struggles to balance her love life and her demanding new boss, while Danni seems to warm up to Carmen. Zoila helps Rosie solve Peri's murder; Carmen and Danni find themselves in a dangerous situation; Marisol pursues closure with Peter; Adrian plans to share big news.